Council members easily approved two of the three measures. Some criticized the third that allows the administration to collect $3 million from sewer ratepayers. How would Sayegh vote on this measure as a councilman? Wondered Shahin Khalique, 2nd Ward councilman. Sayegh has raised property taxes by 2-percent which allowed his administration to collect $3 million in revenue. He is making “tough decisions,” prodded by the state, because his administration presented the three measures to the council for a vote. 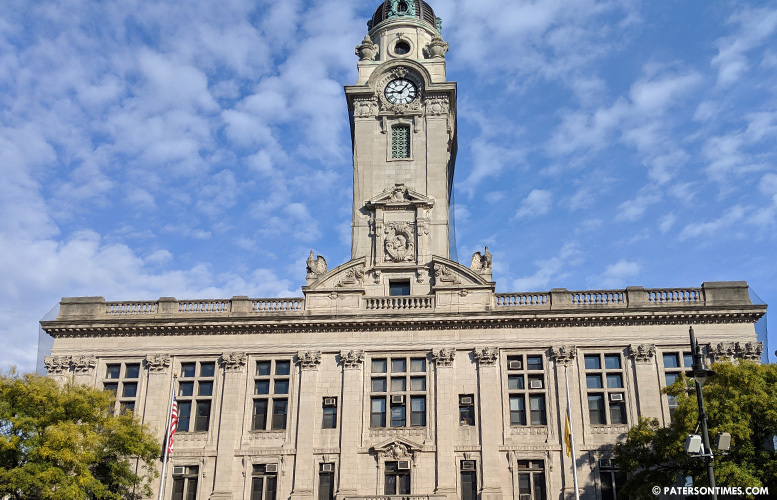 Some council members criticized the New Jersey Department of Community Affairs (DCA) for forcing the city to raise $3 million in sewer fees. The state in a letter dated Feb. 11, 2019 urged the city to take the three steps for sewer reforms. Without the reforms, the city risks losing $2 million in state transitional aid. The state has agreed to provide the city $33 million. $4 million of that is conditional. The city gets $2 million for sewer reforms and $2 million for moving employees to state health plan. “What connections do we have?” remarked Flavio Rivera, councilman at-large, referring to the mayor’s campaign rhetoric that his relationships will help in propelling Paterson to fiscal stability. Rivera said the Phil Murphy administration has imposed onerous conditions for state aid. “The DCA is somewhat out of touch with what our residents go through,” added Al Abdelaziz, 6th Ward councilman. “It’s a better return on investment,” said William McKoy, 3rd Ward councilman. Council members voted 6-2 to approve the sewer fee increase. Abdelaziz, Ruby Cotton, McKoy, Luis Velez, and Flavio Rivera voted in favor. Khalique and Davila voted against. Michael Jackson was not present during the vote. The council approved the other two measures without opposition. Rivera campaigned on creating a sewer utility. Municipal officials said the sewer utility will allow the city to correctly bill users in neighboring towns. The utility is largely a paper project that allows the city to separate the sewer revenue and expenditures in a separate bucket. This will mean sewer ratepayers, rather than homeowners, cover the expenses of running the sewer system. Presently, homeowners kick in almost $5 million every year to make up for revenue shortfall in sewer operations. The city’s sewer operations cost is $17.67 million, but it collected $12.81 million in fiscal 2019. The council also approved a new rate schedule for sewer billing. Under the schedule, ratepayers will have to pay a flat rate based on their water meter size and pay a variable fee based on water usage. The council still has to give final approval to the three measures. It will hold a public hearing on Mar. 12 and then decide whether to grant final approval to the three ordinances.